Providing you the best range of cargo pallets, confectionery pallets, cold storage pallets, plastic shipping pallets, durable plastic pallets and chemical industry pallets with effective & timely delivery. Cargo Pallets at Spanco are designed to meet the demands of one-way/export shipping for international and domestic commerce. The lightweight pallets reduce shipping costs, support heavy loads and reduce in-transit product damage. 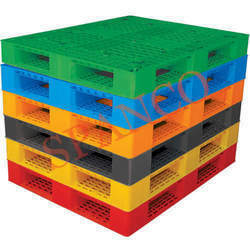 Empowered by our immense experience in this domain, we are engaged in offering a supreme quality range of Plastic Cargo Pallet. The offered product is manufactured and designed using supreme quality plastic and cutting-edge technology in compliance with set industry laid standards. 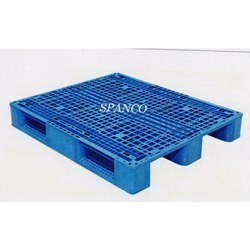 We at Spanco manufacturers high quality Confectionery Pallets which are widely known for there quality & Performance . 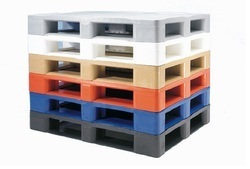 Gaining much technical expertise, we are offering a highly durable and affordable range of ColdStorage pallet. The products are manufactured using the premium raw materials and are available in different dimensions to meet the diverse requirements of the customers. We provide an exclusive range of Shipping Pallets or Plastic Shipping Pallets to our esteemed clients. These pallets are manufactured using best quality material to offer a flawless range. Our range of Shipping Pallets is manufactured under the guidance of our experienced professionals to offer outstanding range. These are available in various size and shape as per the client’s specifications. We are mainly looking queries from Delhi & other North India regions. 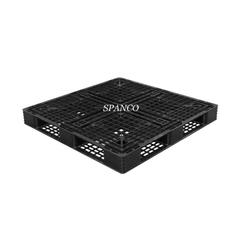 Spanco Durable Plastic Pallets are designed with high quality and perfection to bear a good amount of weight and are strong and durable in design. 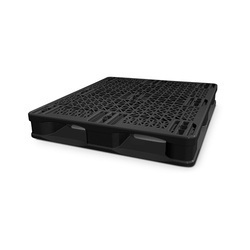 These industrial plastic pallets come with robust features. They play a requisite role in any manufacturing unit and are designed by uniting the unique material goods of non-eatherability of plastic polymers and far above the ground potency of steel support instructing toughness and even high load carrying qualities. Our organization excels in offering Chemical Industrial Pallets to our clients. These pallets are noted for their attributes such as unmatched quality, precise dimensions and robust construction.These pallets are designed using advanced technology and innovative ideas of our skilled professionals. Dimension/Size As per client requirement. We at Spanco introduces Dying Unit Pallets which are made by using the finest raw material in the industry . Our Cement Industry Pallets are highly durable and economically feasible . Capacity Up to 2 Tons. Dimension/Size As per client request. We are specialized in the manufacturing and exporting of Air Freight Pallets, which are a provide a safe and comfortable handling solution. We bring to our clients a wide range of pallets that are maintenance free and water proof. Our light weight pallets are total export palletized packaging solution that offers major advantages like light weight, low-cost, and well-suited to minimize weight in transportation, especially for air freight and cargo ships. We are specialized in the manufacturing and exporting of Sea Freight Pallets, which are a provide a safe and comfortable handling solution. We bring to our clients a wide range of pallets that are maintenance free and water proof. Our light weight pallets are total export palletized packaging solution that offers major advantages like light weight, low-cost, and well-suited to minimize weight in transportation, especially for air freight and cargo ships. Looking for Multi Purpose Pallets ?